When going on an outdoor adventure like camping, preparation is essential. Camping can be an overall fun experience when you have all the essential tools. But your number one concern must be you and your families safety always. It doesn’t matter if you are an experienced camper safety measurements during camping will help keep your loved ones and yourself safe from the dangers of nature. That is why we have created this short Essential Camping Gear List to ensure your camping trip is enjoyable and safe. Rita Washington, is a writer who was born in Boston and is passionate about gardening. Rita has more than 4 years experience in gardening, planting & other outdoor activities. You must properly dress up for any camping trip. Doing some good quality research before heading out for a camping trip is invaluable and will help prepare you for the worst. Check if you and all of your campmates have appropriate clothes for the weather and climate of the site you have chosen to set your camp up at. Your attire should be suitable for the temperature of your campsite. If there is the likelihood of rain, taking a raincoat and umbrellas would be helpful. But most important of all, you must have high-quality trekking shoes. Trekking shoes are essential for every camping trip and will stop you from slipping while keeping your feet in a comfortable position for hours. Northwestern areas in the US like Northern Minnesota, Wisconsin, Smoky and Rocky Mountains, New England, and Pacific Northwest are bear infested areas. Black bears are commonly found near these areas. Some areas even have Grizzly Bears which are more aggressive compared to Black Bears. That is why camping in these areas is quite dangerous if you haven’t bear-proofed your campsite. Bears and other hungry animals close to the campsite might get attracted to your campsite by the smell coming from your food that you have brought along with you. Hang the food in a food sack on a sturdy tree branch, which is at least 18 feet high and is downwind around 200 yards from the camping tent. If able, it is definitely better to choose a campsite that has food lockers, so you can store all your food you not have it eaten overnight. Ticks and mosquitoes usually infest camping sites, so it is a good idea to ensure you all the necessary things for camping like bug repellent items. Your camping trip might not get ruined then and there, but you might suffer from sickness for weeks after you return from your camping trip. You can be affected by diseases like Lyme Disease when bitten by ticks. There are tick repellents available for getting rid of ticks near a campsite. 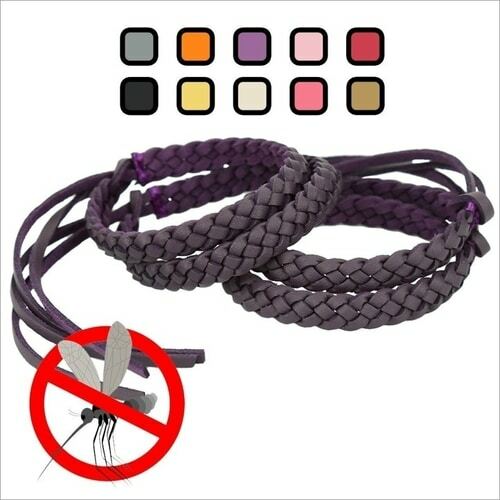 Get a mosquito net as well, as mosquito repellent doesn’t have a 100% chance of working every time. Get a net that can cover your tent or hammock. Mosquito nets give you that added protection from mosquitoes and other types of bugs. There are plenty of choices these days to help you avoid mosquito bites. Wristband or bracelets, lotions, and sprays are available in plenty. You could also use a bug zapper. 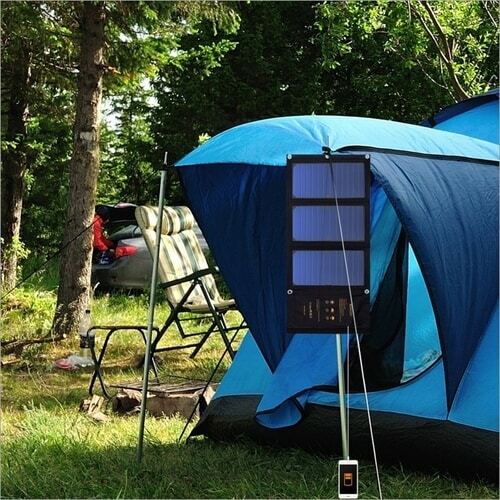 They are portable in size and travel-friendly for a camping trip. You must stay oriented at all times on your camping trip. Carrying smartphones with apps that help you with direction and mapping a location will definitely come in handy. There are lots of free apps out there that have a digital compass feature. These apps keep track of where you are at the moment and where you are heading towards. Carrying a portable power bank with you is necessary as well, as your cell phone charge is likely to diminish. There are power banks which run on solar power when there is sunlight. But don’t solely rely on digital apps and cell phones. It is still recommended to carry an old-school manual compass, as this will sure come in handy when a cell phone isn’t available. Old school compasses are easy to carry around and give you a sense of direction. Make sure you to get a compass that is reliable and a well-known brand. Carry a detailed printed map from the local tourist office of the place you are visiting. Try to familiarize yourself with the area you are visiting. Memorize all the signs and routes, and you are good to go. Having a sense of direction is necessary during a camping trip. Making sure you have the proper essential camping gear for lighting your camp site is necessary. Carry with you torches, flashlights or LED Lanterns with extra batteries. Flare sticks are a necessity as well. They help you to signal if you ever get in any trouble during while out in the wilderness. Flare sticks also provide you with emergency lightning and fire to scare off insects and animals. Spare matches come in use when you need to start a campfire and may not have a ferro-rod firestarter. Nowadays there are a lot of types of matches available. Waterproof matches would be the perfect choice for camping trips. A sharp blade like a machete, axe or survival knife is useful during every camping trip. You will need a sharp blade to cut wood for a bonfire, for any camping activity that may need a sharp object or for cutting tree branches that block your way. High-quality steel blades, which are durable and have a good warranty, would be the right choice. Light-weight blades are easy to carry on a camping trip too. You must organize yourself and your essential camping gear before heading out for that camping trip you’ve planned for months. Keeping a checklist of things you have and things you will need for your trip is necessary. Carry extra money and a quality brand pocket knife with you, as you might need it. Also, carry extra clothes if planning to stay outdoors for more than one or two days. Hope you have a fruitful camping trip ahead. Happy camping and good luck planning you essential camping gear list.